I was delighted to have recently been invited by Glenda Young, editor of the fabulous Coronation Street Blog (http://coronationstreetupdates.blogspot.co.uk) to do a guest entry! Now live on the Coronation Street Blog – you can read it by following this link – http://tinyurl.com/fraser-corrieblog. I’d also like to thank Glenda for the donation to the charity of my choice, the MS Society. 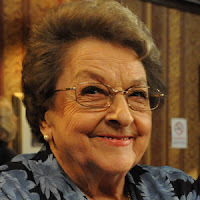 As one of Coronation Street’s greatest fans, I was very sad to learn of the passing of Betty Driver – Betty Turpin and Williams to the millions of Coronation Street followers. A brilliant actress, who looked twenty years younger than she actually was, the vegetarian famed for her Rovers’ hot pot, she will be sadly missed. And, what a superb week it has been on The Street at 50! It turns out that Betty of Hot Pot fame is actuallly a vegetarian! 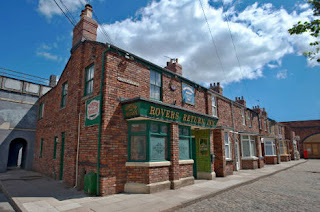 More can be read on the excellent Coronation Street Blog at http://coronationstreetupdates.blogspot.com/! 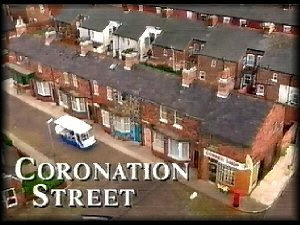 Just to let you know I’ve moved from Corrieblog and am now blogging about Coronation Street at http://coronationstreetupdates.blogspot.com/. If you can link your work with Corrie at all, do let me know and I’ll give you a link and a blog post! Was really good to hear from Glenda and I’m pleased to add a link to http://coronationstreetupdates.blogspot.com – a great way to keep up with the news from the Street! 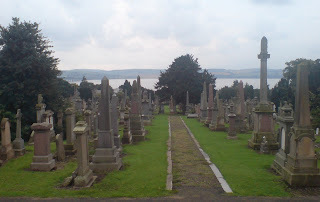 Apart from a whole load of ‘day job’ activities today, I had the pleasure of attending the fascinating guided walk at Western Cemetery, ably led by Ann Prescott of the Western Cemetery Association and Iain Flett, Dundee City Council Archivist. 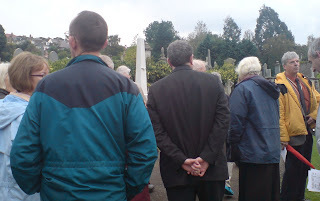 An excellent turnout – here’s a couple of photos (above). Later I attended the City Council Housing Working Group, of which I am a member. Good presentations and discussion on tenant participation and housing investment. Tonight, I attended the Harris Academy Parent Council – both interesting and informative. And … now home to recordings of ‘Coronation Street’ and ‘The Restaurant’!